We saw Glenn Close and Mahershala Ali win Best Actress and Best Supporting Actor for “The Wife” and “Green Book,” respectively, at the SAGs. This was after winning in the same categories at the Golden Globes and Critics’ Choice Awards. Close was up against Olivia Colman (with “The Favourite”) at the SAGs, whom she is neck-in-neck for the BAFTAs and Oscars next month. 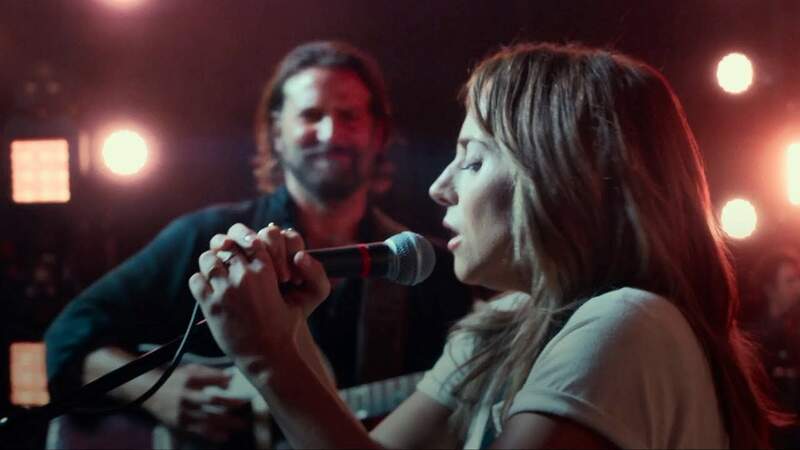 The brief momentum for Lady Gaga’s first lead performance in “A Star is Born” appears to be stunted – though she still has the same nominations as Close and Colman, and has the small possibility of a surprise win. It looks like Ali could win his second Oscar just two years after winning his first Supporting Actor prize for “Moonlight” (2016). Earlier this winter, Richard E. Grant for “Can You Ever Forgive Me?” and Sam Elliott for “A Star is Born” looked like the front runners for the choice of several critic groups, but that ended with Ali’s sweep at the televised awards. Along a similar vein, Ethan Hawke for “First Reformed” and Regina King for “If Beale Street Could Talk” won nearly every Best Actor and Best Supporting Actress title from dozens of critic awards last December, but both are now largely absent from the big shows. Hawke is missing from the Oscars, GGs, SAGs and BAFTAs, making him by far the biggest snub this season. His potential is now completely overridden by Christian Bale for “Vice” and Rami Malek for “Bohemian Rhapsody” (the latter winning the recent SAG). Even Bradley Cooper for “A Star is Born,” who was predicted to be second behind Hawke, is now second fiddle to Bale and Malek. Since the SAGs are all about the actors, the Best Film trophy at the end of the night is the Best Ensemble. The biggest shock of the ceremony was probably Marvel’s “Black Panther” winning the main award. Though this is a huge award for an action movie, the chances of winning at the Oscars is still a little unlikely. “Mad Max: Fury Road” (2015), the most recent blockbuster with a ton of awards hype, lost to “Spotlight” (2015) for Best Picture, so the Academy is still in favor for dramas. The biggest bummer this time around has to be Bradley Cooper. Not only is he getting passed over with Best Actor, but also for Best Director. Not to say Alfonso Cuarón’s acclaim for “Roma” is undeserved, and Paweł Pawlikowski’s Oscar nomination for “Cold War” was a pleasant surprise. But the man gave his first film-making effort his all and got the best reviews and box-office returns anyone could ask for. Who did he piss off to garner this much neglect? As someone whose favorite films from the past year included “A Star is Born,” “Hereditary,” “First Reformed,” “Leave No Trace” and “Cold War,” 2018 has to be the least exciting awards season of the decade.